Imagine learning that water from your tap might be harmful to your family’s health. Imagine that in addition to thinking about the food you feed your children—something you can try to control—you must worry about the water they use to brush their teeth and wash their faces before school. For the past three years, Amy Brown has done just that. When Brown received a letter in 2015 from the NC Department of Environmental Quality warning that her North Carolina home’s water could be contaminated with heavy metals such as lead and mercury, she stopped using it. Today, she and her family continue to use bottled water for basic necessities. The U.S. Environmental Protection Agency (EPA) is tasked with putting in place safety protections that prevent pollutants from infiltrating the country’s air, water, and food supply. The EPA is also responsible for cleaning up communities such as Brown’s and safeguarding the health of Americans everywhere. Yet, since taking office more than a year ago, EPA Administrator Scott Pruitt has quietly rolled back standards that ensure safe drinking water, food, and air. These changes put children at particular risk. Here are five ways in which Pruitt’s recent policies undermine children’s health. In March 2017, Administrator Pruitt reversed the EPA’s previous ban on chlorpyrifos, a common agricultural pesticide. Chlorpyrifos is a neurotoxin—a substance that disrupts the normal function of nervous system cells in organs such as the brain. People can be exposed through contaminated drinking water or residue on food, including common crops such as corn, apples, and broccoli. During pregnancy, a woman can unknowingly expose her fetus to chlorpyrifos when she eats fresh produce, which is often recommended doctors. And while in utero, the brain and nervous system are especially vulnerable. Infants who experience prenatal chlorpyrifos exposure can develop brain abnormalities, including enlargement of some areas and shrinkage or thinning of others. These structural changes are consistent with deficits in IQ and working memory. Previous research has shown that chlorpyrifos also increases children’s risk of autism spectrum disorder and delayed motor development. Pruitt’s EPA has also scaled back earlier protections that limit the amount of toxic metals—including mercury and lead—that industrial facilities can spew into the air and that power plants and coal ash dumps can release into waterways. Like chlorpyrifos, these metals can affect central nervous system function and can be ingested through contaminated air and water. Due in part to discriminatory social policies such as redlining, children of color are more likely than white children to live in areas that cannot afford the abatement programs necessary to address lead in their communities. Studies have linked early childhood lead exposure to lower IQ scores and behavior problems, including inattentiveness, hyperactivity, and aggression. Research has also linked early mercury exposure to delays or dysfunction in children’s language, attention, and memory well into adolescence. The EPA has taken several actions to allow corporations to release more smog- and soot-forming pollutants into the air from industrial facilities, oil and gas drilling, and power plants. Due to the same discriminatory social policies that make them more likely to live in communities affected by lead, children of color have greater exposure to air pollution than their white peers. Exposure can cause damage that ranges from nose and throat irritation to asthma and lung disease. Although poor air quality harms all U.S. residents, children are disproportionately affected by changes to these standards. Because children typically spend more time outside than adults through play, recess, and sports, they are likely to ingest more polluted air. They are also more susceptible to its effects than adults due to their developing lungs and faster breathing rates. Besides diminishing individuals’ quality of life, poor respiratory health is costly to society. Asthma alone places a significant economic burden on the United States: The annual cost of childhood asthma attributed to environmental factors is $2.2 billion. On June 22, 2017, the EPA issued new rules for implementing a bipartisan law that critics contend is overly friendly to the chemical industry. Under current rules, if the EPA determines that a chemical is safe for a particular use, then it can proceed to market even if experts raise concerns about the risks of other potential uses. Approximately 2,000 new chemicals enter the market each year, adding to the 80,000 chemicals already registered for use by the government. Despite their widespread use in everything from food packaging to children’s furniture, many of these chemicals have not been studied for safety by any government agency. Outside government, emerging scientific research shows that some chemicals found in consumer products are linked to cancer and obesity in children. In February 2018, the EPA announced that it would close the National Center for Environmental Research (NCER), an office best known for handling grants that study the health effects of chemicals. Research supported by this grant has demonstrated that infants could be exposed to arsenic through rice cereal and that farm workers’ children had increased exposure to a neurotoxic ingredient in pesticides. These discoveries led to improved safety protections that included phasing out dangerous pesticides from agriculture. The center also supports prevention of several childhood diseases, including asthma, preterm births, leukemia, and immune system disorders. Although the EPA has characterized the move as a reorganization, former EPA leaders and senior scientists wonder whether the real intention is to get rid of the program entirely. The country is full of parents like Amy Brown who want what’s best for their children but recognize that certain things—such as air quality as well as food and water safety—are beyond their control. 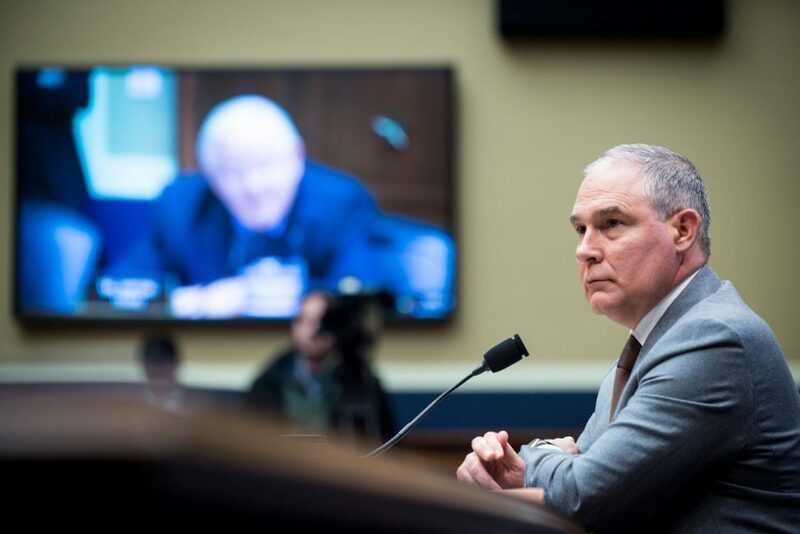 Rather than uphold the EPA’s mission and enforce critical public health protections, however, Administrator Pruitt has taken dozens of actions that undermine the health of the environment—and, by extension, the health of America’s future. Cristina Novoa is a policy analyst for Early Childhood Policy at the Center for American Progress. Claire Moser is the director of the Energy and Environment War Room at the Center for American Progress.